About Me: Howdy! Im Cookie the smallest of my litter and I am super duper cute! My face is a little differently shaped to other robos as I have a pointy nose that makes me look like a mouse insted of a boxed snout like my big sister. My favourite treats are monkeynuts, I love them so much but I hate shelling them so I get Truffle to do that part for me. I also love to run! I can run faster than anyone else and for hours and hours its such good fun! On January 20th 2012 Cookie was taken to be put to sleep by her vet when a tumour she had been battling with for 3 months finally made it too difficult for her to live a happy life. 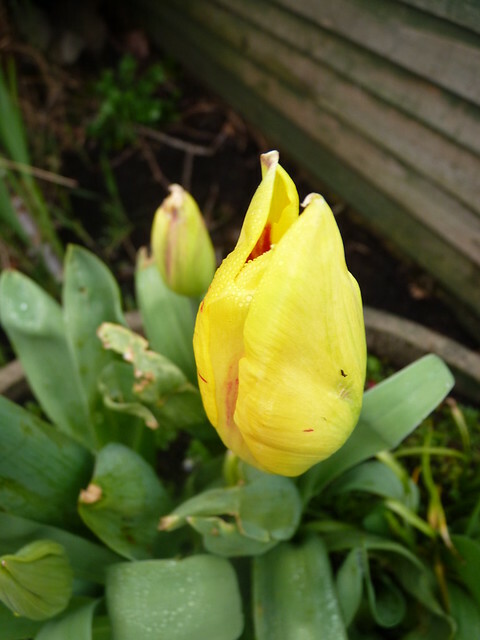 She was buried in our back garden and in March 2012 a single yellow tulip flowered on her grave.